The Hungarian Opel Dakar Team Balázs Szalay / László Bunkoczi returns to the Dakar Rally. This will be Szalay’s 13th Dakar Rally (a record number in Hungary) and the eighth with navigator Bunkoczi. Interestingly, when the pair starts together on the longest and hardest marathonrally of the world, they always reaches the final finish. Szalay has one additional completed Dakar Rally from the year 2000, when he completed the distance with Tamás Jakab. The pilot raced in 33 countries and now the 34th is coming up, because none of them have ever raced in Bolivia before. "In the past years we competed in the Africa Race in January, because it was attractive to return to our roots. But the fact, that the best rally-raid racers of the world are preparing for the 40th Dakar Rally, started something in me. It inspired me to return to South America after a four-year break," stated Balázs Szalay. "Peru’s return means that there will be desert stages of the race again, these were missing lately from the race. This means that we can count on exciting battle, because as we all know, anything can happen among the dunes." And on high ground too, as the rest day will be held in Bolivia above 3500-meter altitude and stages were also prescribed over 4000-meter altitude. For Szalay this is not an issue. On a former Dakar they crossed the Argentina-Chile border at 4726 meter. He did not feel sick, though they will pay close attention to the symptoms of altitude sickness. 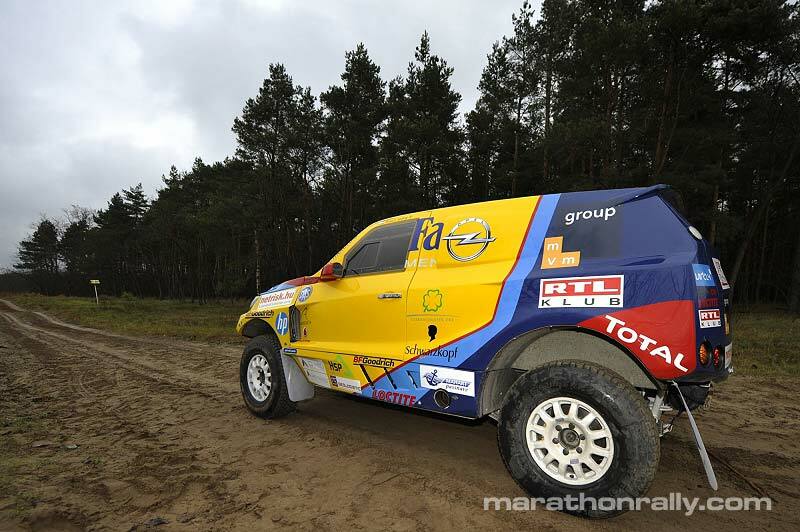 "I started on my very first Dakar Rally 22 years ago. Certainly, the race has changed a lot since that. It moved from Africa to South America, the sixty-seventy percent of the field reaches the finish compared to the twenty-thirty percent in Africa," Szalay said. "Now it is not as hard to complete the Dakar as it used to be, though to complete it without any issues and achieve a good position became much harder. Back in the days one could get squished in the best ten-twenty with some luck, but now this is almost impossible. Therefore, our aim is to stretch our boundaries each and every day to get the maximum of ourselves." The team will start with an externally and internally renewed Opel Crossland X prototype. Following the new rules and regulations of the race the car’s spring move was increased with 5 cm, it´s ride frame height became 2 cm lower. The pair expects the car’s stability and manageability to be noticeably improved. 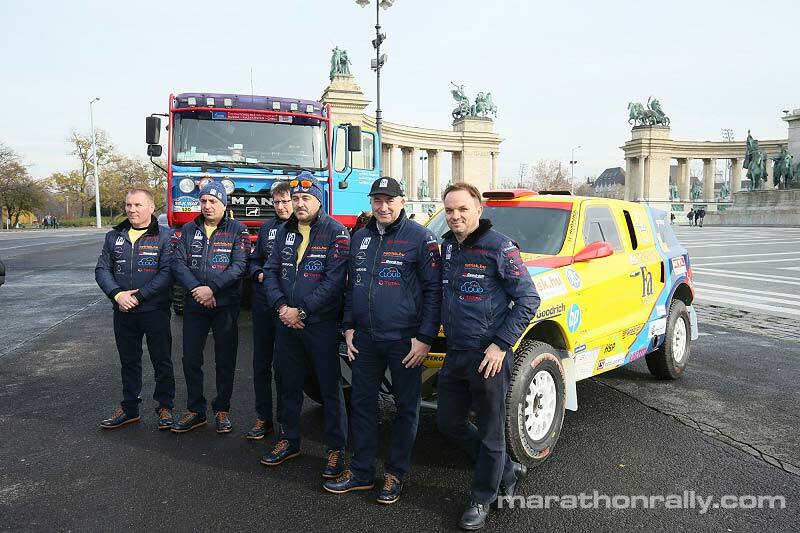 "At the moment, it is hard to tell our position in this extremely strong field, in which we haven’t raced for four years," told László Bunkoczi, who completed almost 200.000 kilometers together with Balázs Szalay on different parts and in different deserts of the world. "Although we have been constantly confronted with the unknown on each and every desert race for years, this is something we just cannot get used to. It will be great to be there and we start the first stage, because none of us likes the preparation phase. I am very excited!"